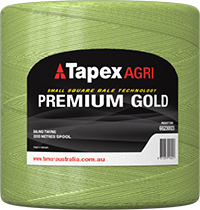 High quality twine for small square balers. Designed in Australia for no-nonsense trouble free baling. For medium to high density small squares. Offering a spool size designed to fit into all small square twine boxes.